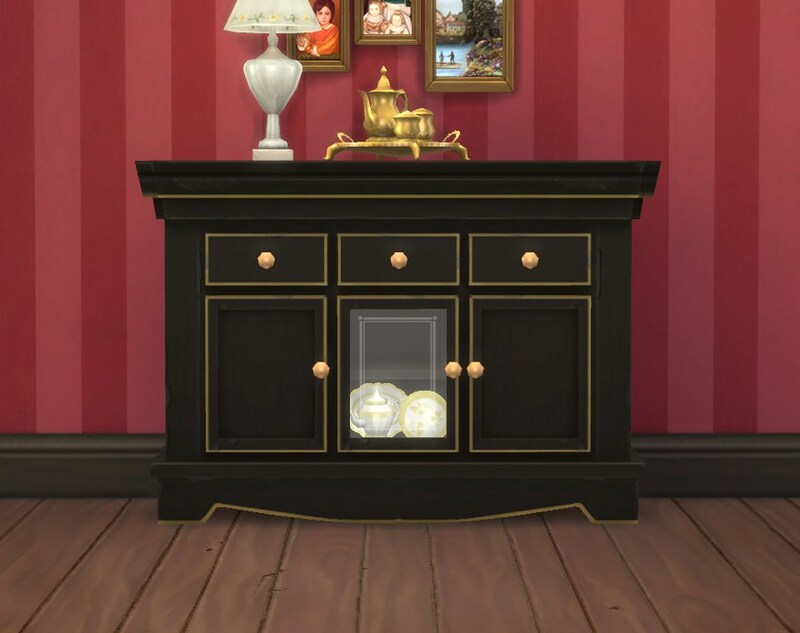 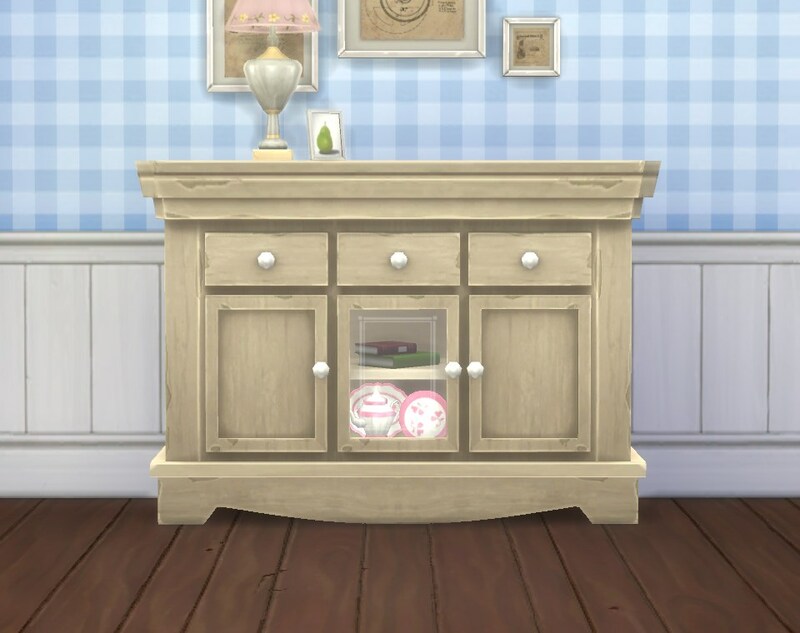 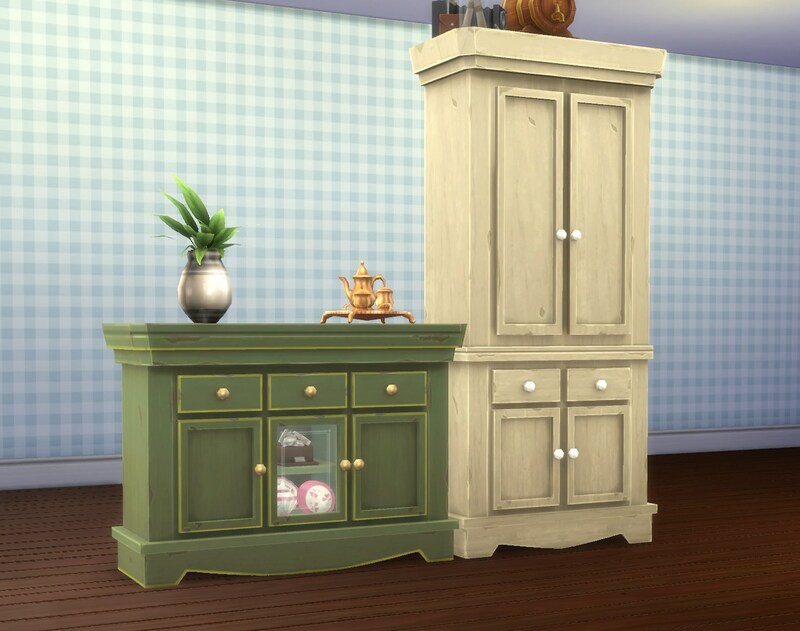 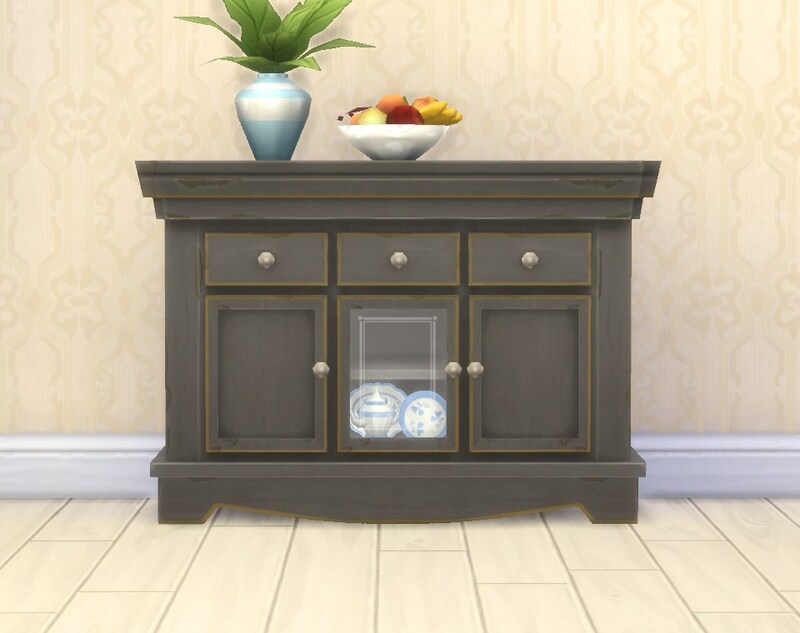 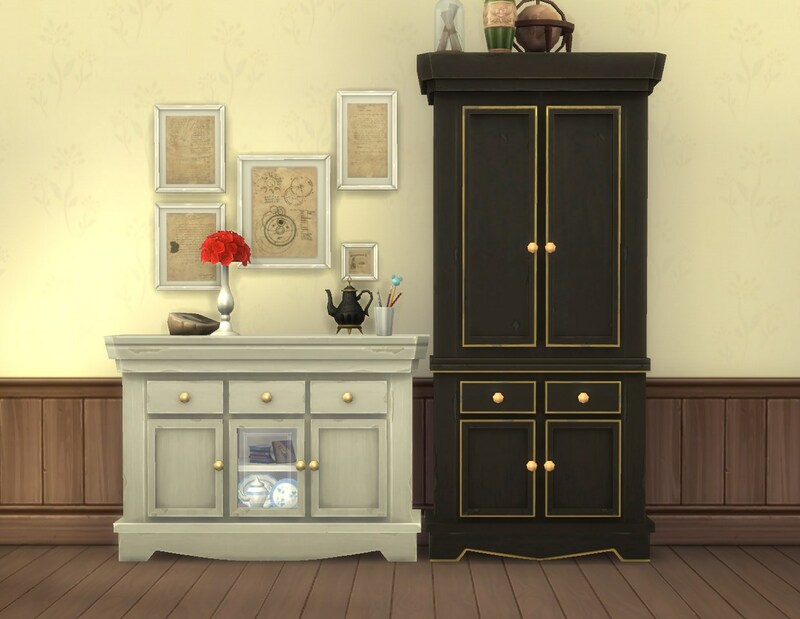 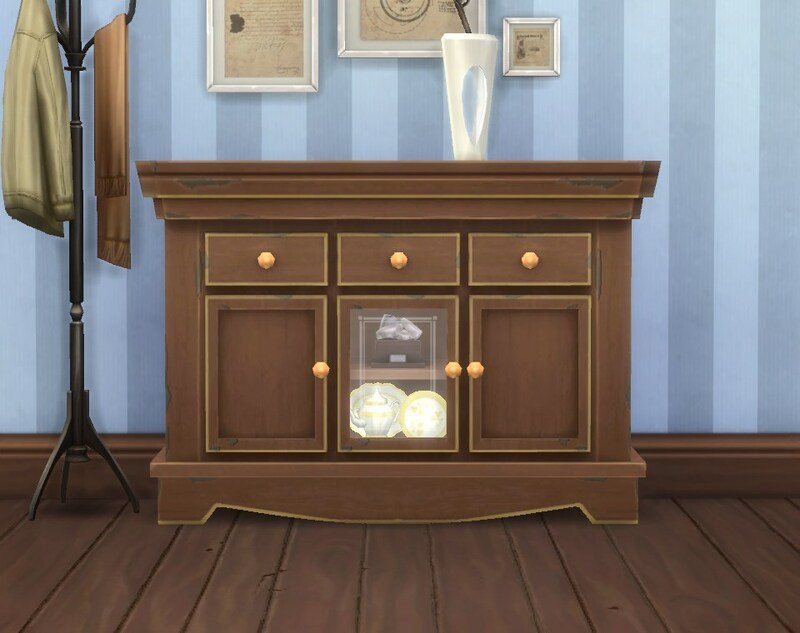 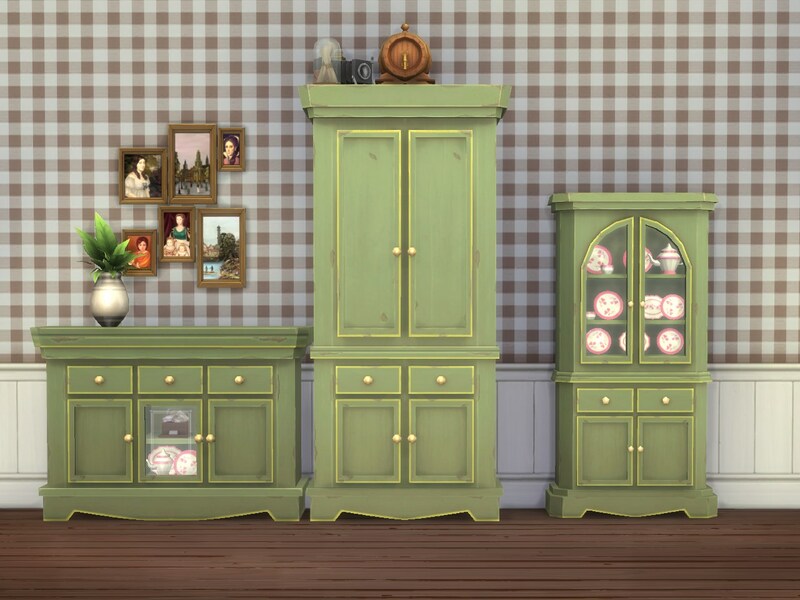 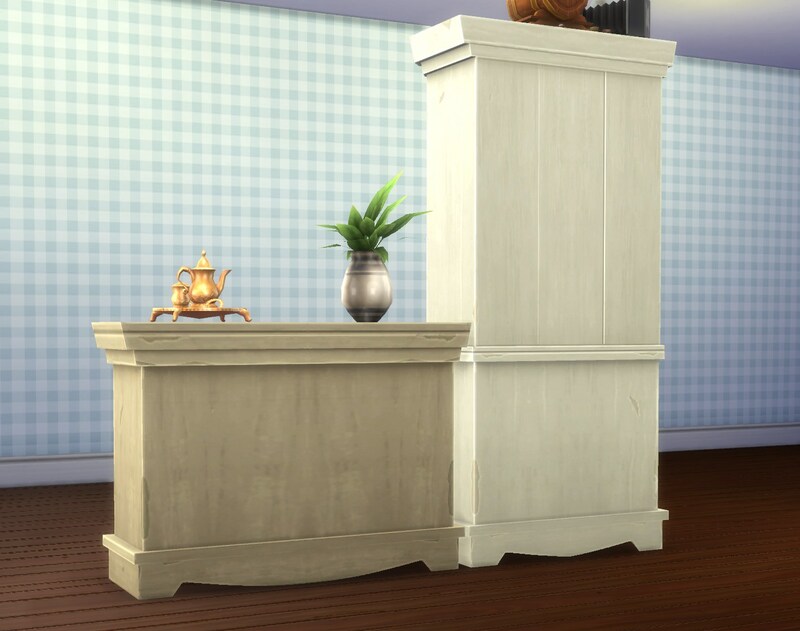 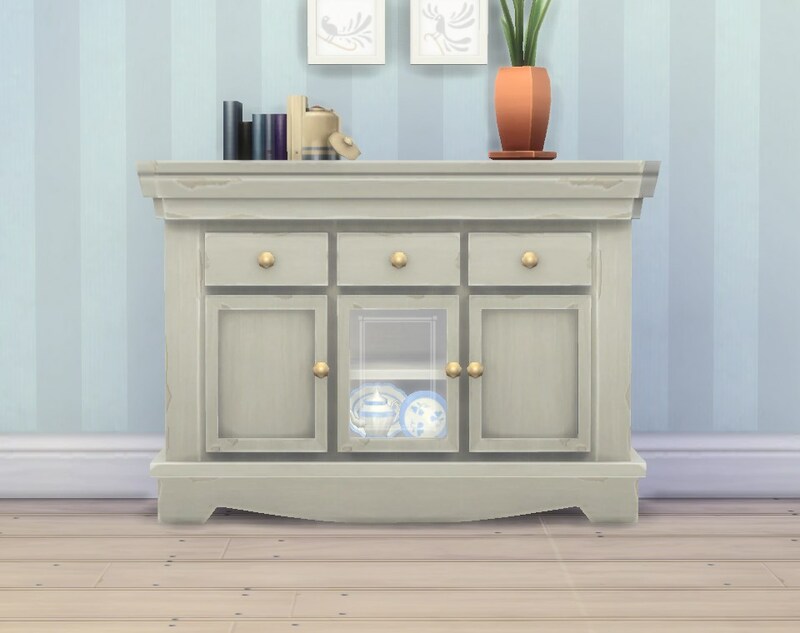 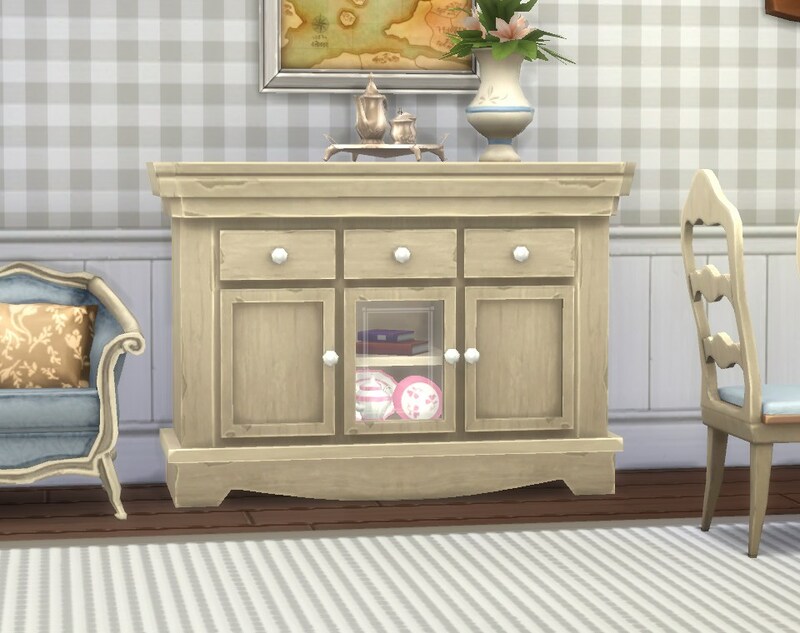 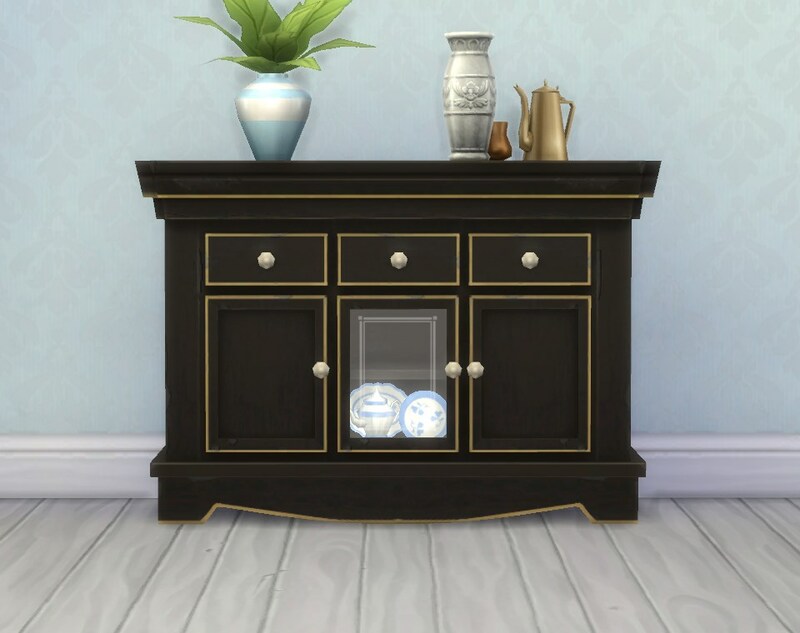 This is a sideboard that goes with all of the Maxis country stuff (“Caress” and so on) but is not so over-decorated. 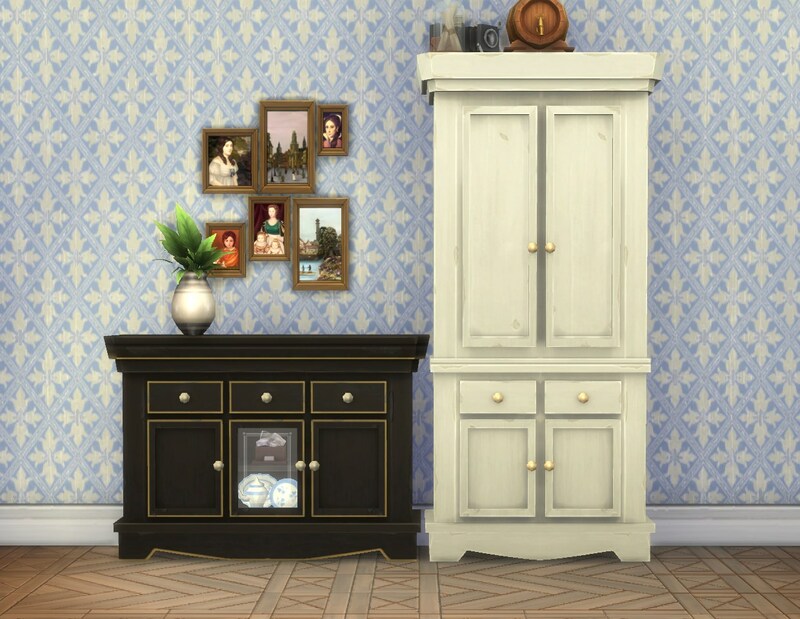 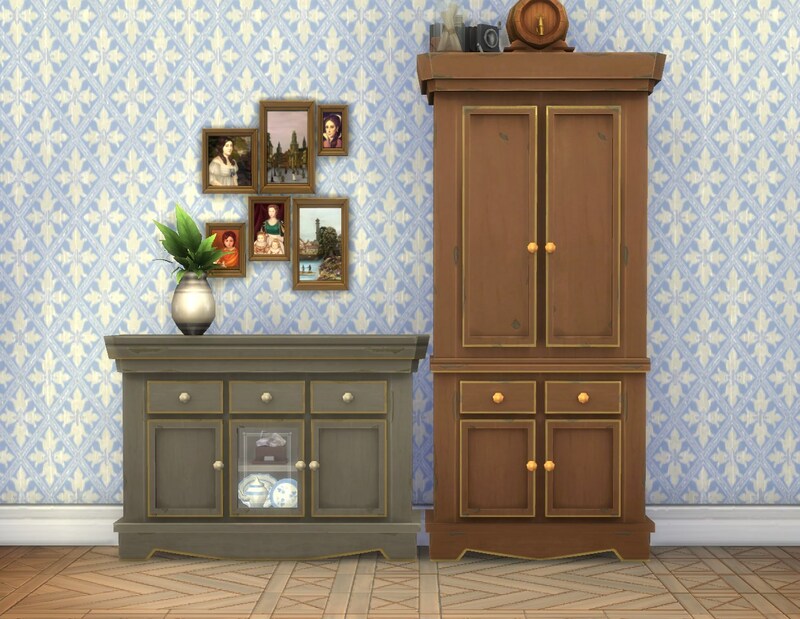 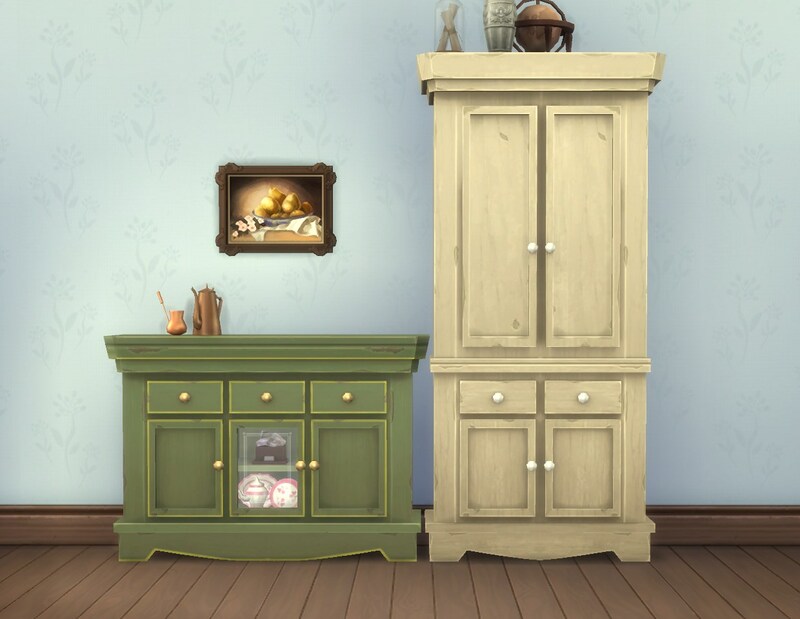 The matching armoire on the screenshots is uploaded here. 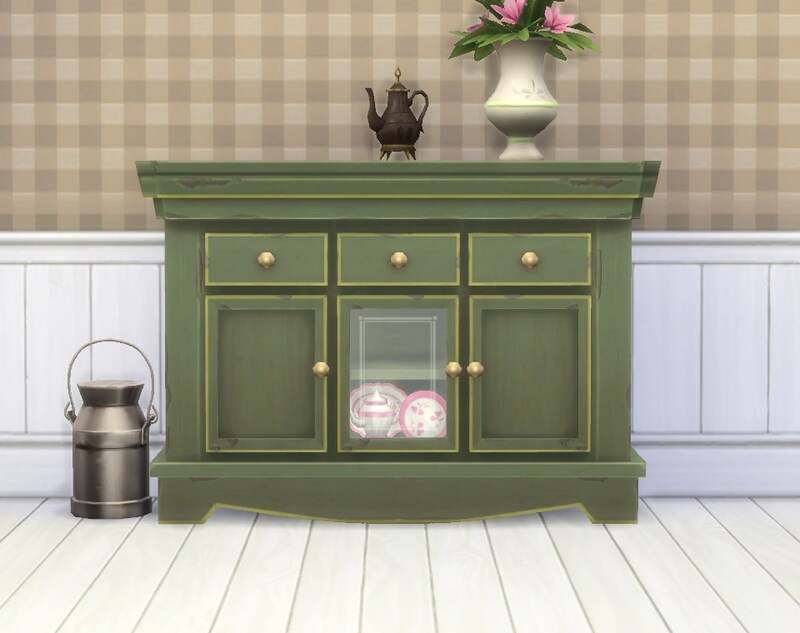 It is re-meshed from the “Home is where the Hutch is” dining hutch and references all of its textures from that (except the glass). 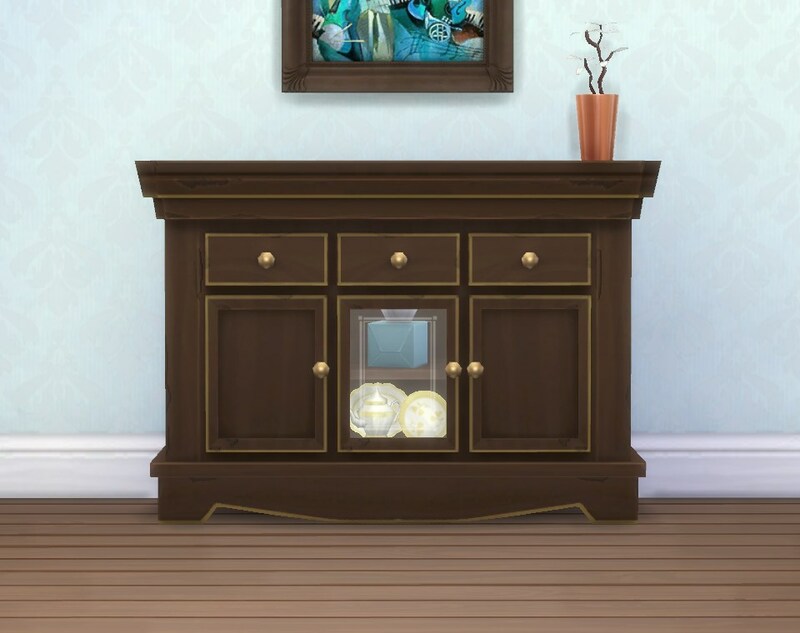 Has a bunch of slots on top and also one on the upper shelf behind the glass door (only rather small items will fit in there though). 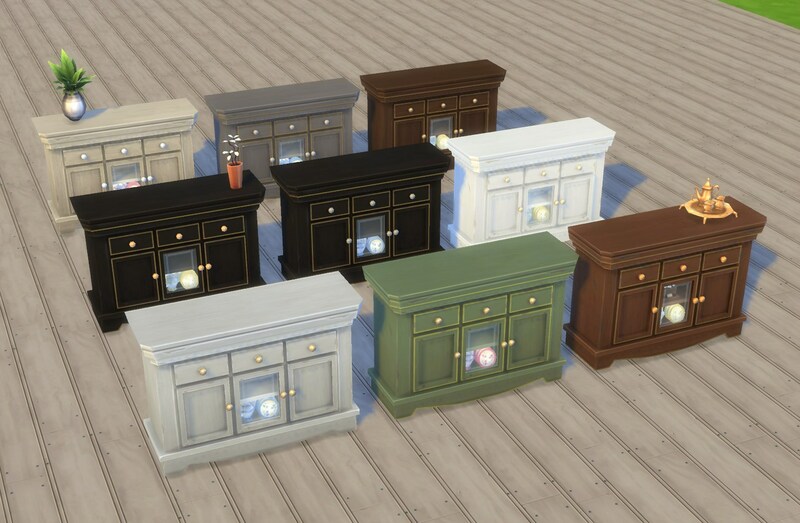 Nine colour options, available in End Tables (Accent tables department) for 440§.